Making the Magic Happen in Your Generational Melting Pot! Each generation in America is defined by a turning point, a reality that is all theirs, or an event that marks them forever. How do employers connect them to the present reality, by using each one’s group understanding and get everyone on the same page? How do companies develop culture and engagement to make everyone feel connected? How do we nurture productivity, cooperative work, and innovation in our generational melting pots? Let’s take a quick trip down memory lane and look at who we have working in today’s companies. So now that we know who the players are, what is the game plan? How do leaders get everyone aligned to achieve the ultimate goal of the company’s success? Clearly, the Silent Gen (Veterans) are not snatching up a technology-focused perk that your Post-Millennials certainly will. So here are a few tips for inclusion and linkage of all employees across departments and generations! Connecting Your Virtual Workplace: Do you have in-office team meetings? Have you considered allowing some of these meetings to happen via Skype or Zoho Connect or Slack or Hangout? Engaging employees, even those who may work remotely or part-time and aren’t in the office from 8am-5pm Monday through Friday will let each employee know you want their feedback. Give employees multiple options for how to participate in team meetings or company announcements. Be Inclusive of Communication Styles: Acknowledge people may want to think on the new big idea and send you their documented thoughts after the meeting. This provides an avenue for inclusion of your introverts and even more formal communicators. Flexible Benefits: If you are looking into Unlimited PTO as a benefit, make sure you talk to your employees about what that means first. 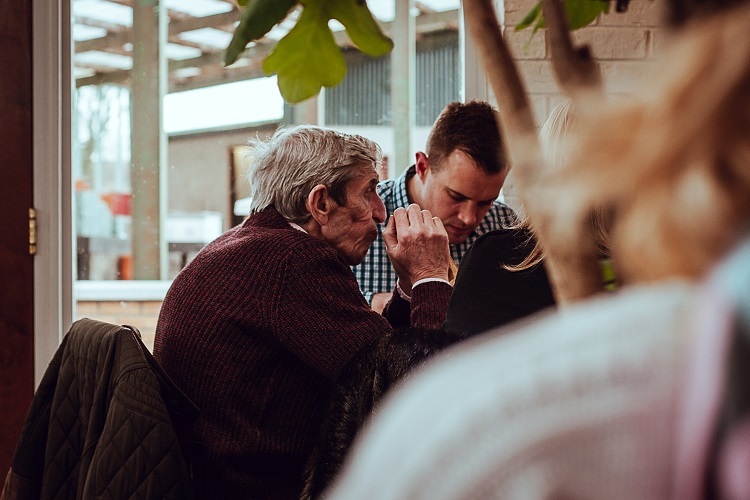 Get conversations going, hold workshops on it, and talk to those employees from the Silent Generation and the Baby Boomers who might be worried the 450+ vacation hours they’ve accrued over a 30-year career with your company could suddenly disappear. Changing things up is a good thing but communicating how it will play out will take you even further with several of the more seasoned generational groups we’re discussing here. Offer lifelong learning, mentorship or cross-training/; You’d be surprised how many different employees might be interested in the same continuing education courses, or even mentorships within the organization (match up a Post-Millennial with a Silent Generation employee and watch the magic happen!). Think about subscriptions to on-demand video training both work and non-work related. Encouraging someone to learn a new technology or update their skills is always appreciated and inspires commitment. Enhance employees’ Well-being. Wellness, performance management, and employer branding are three programs that integrate seamlessly with recognition initiatives and offer added value. However, recognize that not everyone appreciates yoga classes offered on their lunch break or whole foods snack options in the workplace. Allow employees to set up a “cafeteria plan” style perk system, where they can pick and choose what works for them. Offer options across all generational lines, and most importantly TALK TO YOUR EMPLOYEES to find out what works for them! Employee surveys are a great way to get feedback quickly on important topics like this or check out your company review on glassdoor.com. As with all diversity initiatives, focus on relatedness, make the customer the mutual priority and look for where employee’s strengths overlap. Mix and match approaches, give room for alternative ways of contributing and take the extra time each week to make a little bit of difference in how employees feel. The rewards will play out in broader, unimaginable areas of the business as well. Our previous blog on Bridging the Generational Gap can be found here if you’d like to read more on this topic. https://peoplescapehr.com/wp-content/uploads/2018/03/StockSnap_GCMD2YHPZ4.jpg 500 750 Jennifer Burton https://peoplescapehr.com/wp-content/uploads/2019/02/peoplescape_newlogo_2019.png Jennifer Burton2018-03-09 09:49:232018-04-11 15:44:12Making the Magic Happen in Your Generational Melting Pot!